Ruth Ware’s books seem to be everywhere lately. She’s managed to publish three books in the past three years. I’ve seen lots of great reviews of her latest novel, The Lying Game, and recently heard good things about her second novel, The Woman in Cabin 10, from a friend. 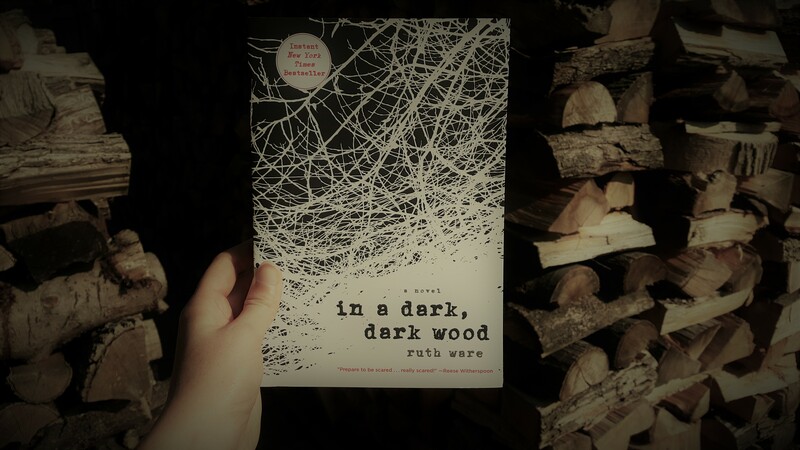 Last year I received a copy of In A Dark, Dark Wood from my book club’s holiday book-exchange, so I decided it was finally time to give it a go. In A Dark, Dark Wood is about a group of friends attending a bachelorette (hen) party at a cabin in the middle of the woods. The story seems pretty harmless, except for the fact that the first chapter is told from the perspective of one of the main characters, Nora, right after she wakes up in a hospital bed. Why Nora even decided to attend this bachelorette party is beyond me. She’s incredibly surprised to have even received an invite, considering she hasn’t spoken to the bride-to-be, Clare, for 10 years. Right off the bat you know it’s going to be a tense weekend with no shortage of awkward situations. Nora should have trusted her gut and not gone at all, because the events that follow are obviously not what she expected. Soon after arriving, the attendees learn there is no cell reception. This alone would have caused me to seriously consider leaving, but everyone seems fine with it. They are clearly not afraid of serial killers. Not even when mysterious footprints show up in the snow, or the kitchen door just magically opens by itself one night. Some reviews I’ve read of this book have said the ending was clearly obvious, but I didn’t think so. Maybe it was because I read the majority of the book between 10pm and 1am, which is a spooky enough time without the added terror of reading about a bunch of people in the middle of nowhere playing with a ouija board. Or, maybe it was because I was too mad at Nora for still being hung-up on her high school boyfriend 10 years after they broke up. Either way, once I found out why Nora was in the hospital, I was convinced I knew why. I was so sure I had it all figured out. But, spoiler alert: I was wrong! This was the first thriller that I didn’t successfully figure out; the grand reveal at the end totally surprised me! In A Dark, Dark Wood proved to provide a solid few hours of entertainment. The setting terrified me, but it also allowed me to really engross myself in the story. Yes, I will admit that the characters are a little annoying and the story line isn’t rock solid, but overall, it’s a very fast-paced read that will keep you on edge until the end.